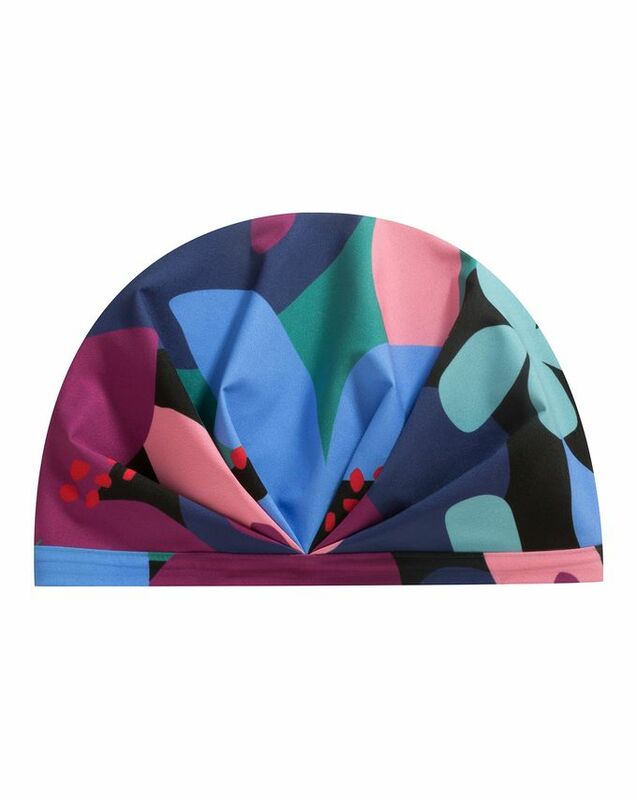 We never thought we’d say ‘chic’ and ‘shower cap’ in the same sentence – until we saw SHHHOWERCAP’s irresistible reinvention, which is really rather more of a stylish ‘waterproof turban’. As well as looking unrecognisably chic, The Muse is crafted from SHHHOWERCAP’s nano-tech, water-repelling fabric, which prevents heat and humidity from ruining your hard-earned hairdos. A rubber grip (made from the same material as a strapless bra, saucy!) holds your cap securely in place without leaving a forehead mark and one size fits all – you’ll never need another! Prepare to look at the humble shower cap in a whole new light: SHHHOWERCAP have given this bastion of frumpy bathrooms an über-chic (not to mention ultra-effective) makeover. Crafted from SHHHOWERCAP’s premium, nano-tech fabric, the cap repels water on a molecular level, meaning it’s not just waterproof, it’s ‘hydrophobic’ – water beads up and slides straight off it. Though it repels water, it’s also breathable, preventing heat and humidity from becoming trapped and ruining your hard-earned hairdo by creating frizz and zapping volume. A rubber grip holds the cap securely in place – without leaving the dreaded indent mark on your forehead – while thick, premium elastic maintains its strength without stretching out and one size fits all hair types and head sizes. Drying immediately, it won’t drip on your bathroom floor, suitcase or gym bag and it’s chic enough to wear at the beach, spa, with a hair mask – or even out in the rain. Like a waterproof turban decorated with graphic tones of blue, burgundy, emerald and pink, The Muse guarantees ultimate shower sophistication. Plus, by investing in one product that lasts, you’ll reduce plastic waste too, so there’s really no excuse not to. Place on head, tucking all of your hair into the cap. This product is good but I fear it is style over substance. it looks great! It is great quality and will hopefully last significantly longer than a traditional shower cap. It claims to be quieter than traditional shower caps but I couldn't notice a difference.